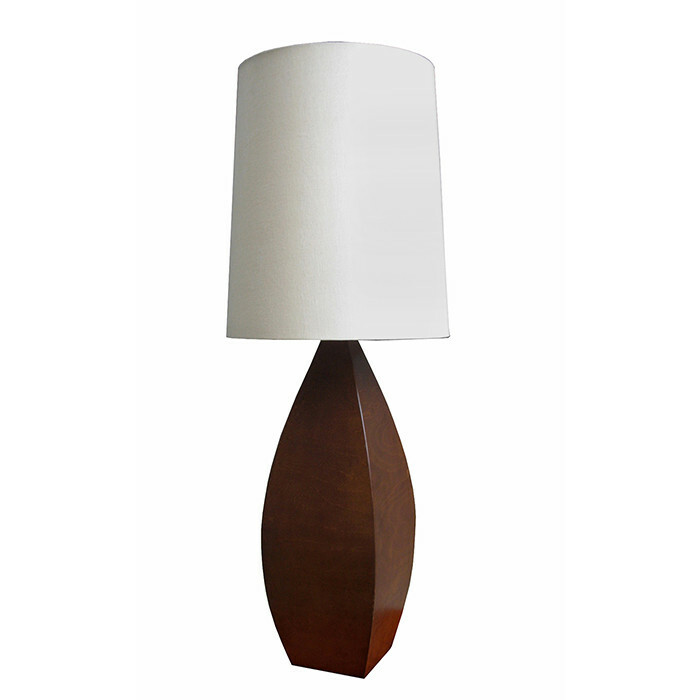 An Italian Modernist table lamp with a tapered wood form. Mahogany. Dimensions: H: 44 O:16 Inches.